Media scholar Jairo Lugo is in Manchester reporting for PULSE from a demo in front of the BBC offices. According to police estimates there are a thousand people gathered outside. Many are carrying Turkish and Palestinian flags and placards bearing messages of solidarity with the activist on the Freedom Flotilla. 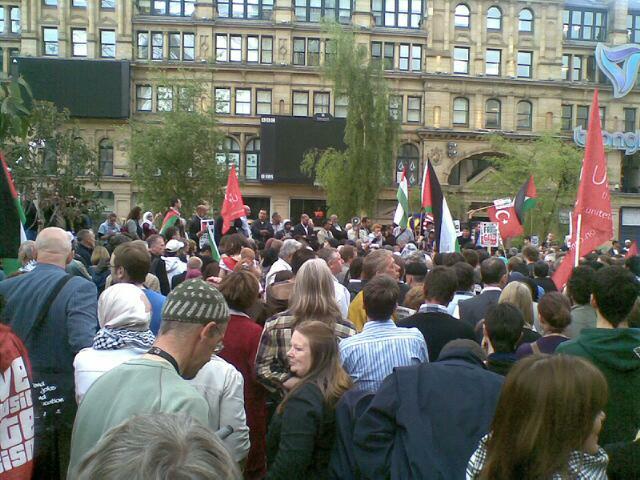 They are calling on the BBC to stop the whitewash and report accurately on the massacre. According to the Police similar protests are taking place in London, Cardiff, Birmingham, and Glasgow among other places in the UK. BBC’s website now carries a report on the protest. UPDATE: See Jairo Lugo’s report on the protests outside the BBC offices in Manchester and elsewhere here. Also, check out these excellent articles by Robert Fisk and Glenn Greenwald, and the Guardian’s report on the world renowned figures who are aboard the ship. The Palestinian movement Hamas says the Israeli navy has intercepted a flotilla of ships carrying humanitarian aid to the Gaza strip. The victims weren’t innocent, you see. They were on their way to aid these terrible people who fire ‘thousands of rockets into Israel’. That’s all you need to know. And if you mention those hundreds of thousands of bombs, missiles and rockets that Israel has shot into Gaza…Why, you must be an anti-Semite! UPDATE I, II, III, IV and V on the BBC’s despicable coverage below. According to multiple reports the death toll now stands at 16, with over 60 injured. You can follow Al Jazeera International and Press TV‘s excellent live coverage. You can also follow the flotilla’s Twitter feed. Mustafa Barghouti on Al Jazeera rightly notes that this constitutes an act of war against multiple countries. The ship was in international waters carrying the flags of several countries. This is a flagrant violation of international law. People have been against both the idea and practice of Zionism since its inception. Zionism is an ideology that has never earned the support of all Jews, and one that has never been accepted by the vast majority of Palestinians, Arabs, and Muslims. Zionism has likewise failed to achieve significant support in the so-called Third World, and has been almost uniformly rejected by black nationalists inside the United States. Yet Zionism has been successful insofar as its desire to create a Jewish-majority nation-state has been achieved. Despite its discursive self-image as a liberation movement, Zionist practice is colonialist and brutally violent. 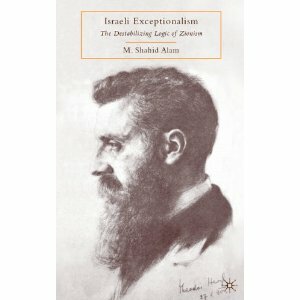 In his latest book, Israeli Exceptionalism: The Destabilizing Logic of Zionism (Palgrave Macmillan), M. Shahid Alam explores these paradoxes with great skill and insight. Israeli Exceptionalism takes its place among a series of recent books that question the logic of Zionism. 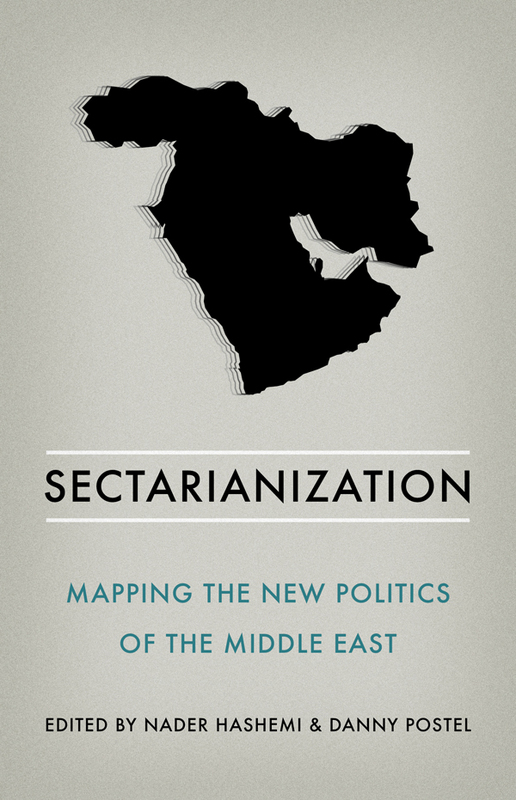 Most of these books argue in favor of a one-state solution to the Israel-Palestine conflict; inherent in that argument is a rejection of Zionism. Alam takes a slightly different approach in his rejection of Zionism, one that is global in scope. 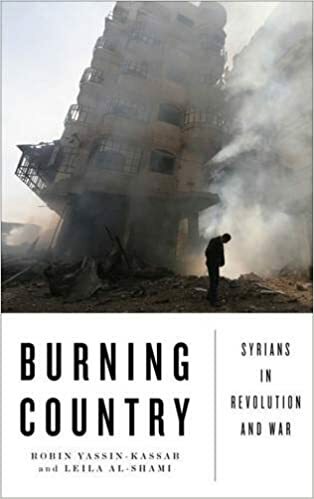 He points out that “[a]s an exclusionary settler colony, Israel does not stand alone in the history of European expansion overseas, but it is the only one of its kind in the twentieth and twenty-first centuries” (14). Israel, in other words, is an anomaly: a settler colonial society still in thrall of the ideologies and racism of the nineteenth century. As with the European colonization of North America, Zionism conceptualizes itself as an exceptional force of good in history. May 26, 2010 (IPS) – In 2005, ahead of the G8 summit in Gleneagles, Irish rock star and philanthropist Bono dedicated a concert to Harvard economist Jeffrey Sachs for his services to global poverty alleviation. Time magazine twice named Sachs one of its 100 Most Influential People. His 2005 book “The End of Poverty” was a New York Times bestseller. He has served as a special advisor to U.N. Secretary-General Ban Ki-moon on the Millennium Development Goals. In 2007 Vanity Fair was moved to declare him the “savior of Bolivia”. From the fawning sobriquets it would be hard to tell that Sachs was the architect of the “economic shock therapy” which in Russia during the transition years (1991-1994) contributed to a 42 percent rise in male deaths, and 56 percent in unemployment. His Bolivian “reforms” brought inflation under control but unemployment, inequality and the cost of living soared.Following a decade of unrest, Russia was only saved by an authoritarian nationalist leadership and Bolivia by economic populism. 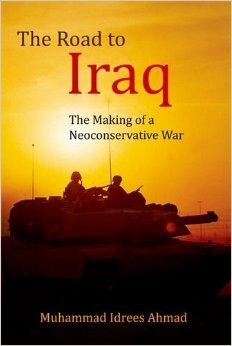 The neoliberal experiment was a failure. If Sachs has today recanted his extreme free-market views, it is only because of a personal epiphany. 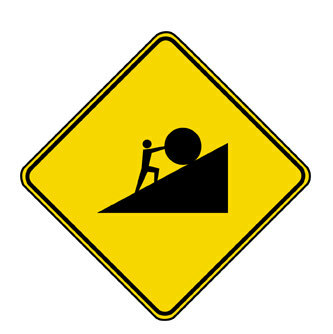 At the peak of his power, he was constrained by neither public censure nor official accountability.He is an exemplar of a new breed of influencers who operate in the interstices of official and private power and exploit the ambiguity of their multiple overlapping roles to evade both public oversight and market competition. 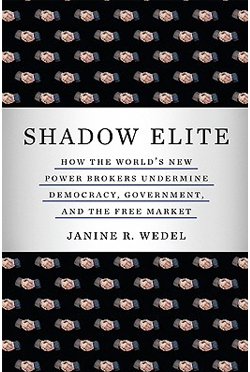 It is this emerging power that is the subject of social-anthropologist Janine Wedel’s indispensable “Shadow Elite: How the World’s New Power Brokers Undermine Democracy, Government, and the Free Market”. Bagram Detainees Denied Habeas: Can we say ‘Insidious,’ Mr. President? On May 21st, the Appeals Court for the District of Columbia ruled that detainees at Bagram do not have the right to habeas corpus; that is, the right to challenge their detention; that is, the same right that was extended to Guantanamo detainees in two separate Supreme Court rulings, Rasul (2004) and Boumediene (2008). The Bagram decision was based on reasoning that because the prison is located in Afghanistan – a zone of active combat – the precedent in Boumediene, concerning Guantanamo Bay, cannot be applied. Additionally, the Court ruled that while the United States, in maintaining full and complete control over Guantanamo Bay for over a century, was constitutionally required to provide detainees with the right to challenge their detention, the status of Bagram was a different case because the U.S. does not intend to maintain control over Bagram with any “permanence.” At first, the logic of the court, which is grounded in Supreme Court precedent, ‘may’ sound compelling to the reader, but this is where things get sticky….. Author aishaghaniPosted on May 26, 2010 May 30, 2010 Categories LawTags Bagram, Guantanamo, Habeas, Obama Administration2 Comments on Bagram Detainees Denied Habeas: Can we say ‘Insidious,’ Mr. President?